Both of our DVDs are compiled by the Guild of Enamellers. 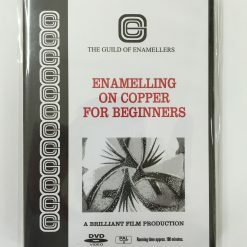 DVD D1 is a very useful guide to basic enamelling techniques. DVD D2 goes beyond the basics of enamelling techniques. Both DVDs have a running time of three hours.